The AnyLoad 651KS22 stainless steel single point load cell is designed to provide reliable and accurate weight measurements, and it is suitable for a broad array of industrial weighing applications. 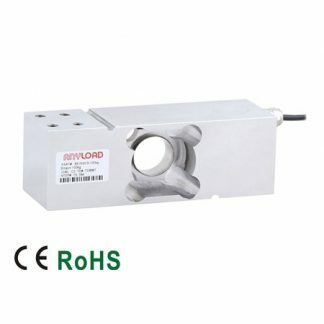 This single point load cell is constructed with 17-4PH stainless steel and is available in 50kg, 100kg, 250kg, and 500kg capacities. The 651KS22 stainless steel single point load cell has a welded seal and an IP68/IP69K protection rating. It is capable of withstanding dust, immersion in water, and steam jet cleaning. In addition, this load cell has a shipping weight of approximately 2.3kg, and it is approved by OIML, NTEP, and Measurement Ukraine. Furthermore, this single point load cell is interchangeable with Mettler-Toledo’s SSH and Vishay Tedea-Huntleigh’s 1510. Other capacities and configurations available – please contact us with any questions.